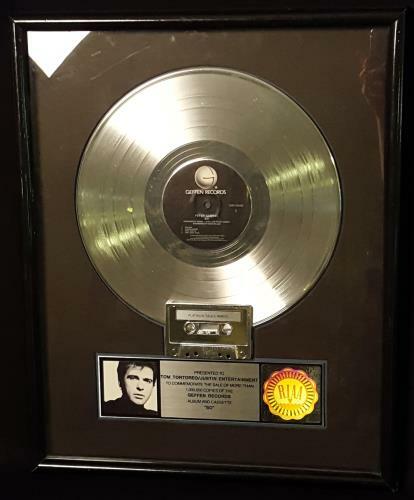 PETER GABRIEL So (Official US RIAA Certified Platinum Award issued to commemorate American album sales in excess of 1,000,000 units. This expertly framed and glazed award measures 17" x 21" in size, and features a Platinum LP Disc and overlapping cassette shell mounted above the authentic, RIAA hologram custom-etched dedication plaque with art sleeve miniature. One of his most successful solo albums both critically and commercially, this stunning award celebrates a career milestone and a creative benchmark in Rock history! ).